Achieving and retaining a more youthful facial appearance isn’t an easy thing. Even though we use beauty products or just follow simple ways to improve the look of the skin, age takes its toll, and we still end up with a dull, wrinkled, spotty, scarred and patchy skin. Apart from other causes (sun damage, acne or ageing) of skin imperfections, there is also a buildup of dead skin cells that clog the pores causing the skin to appear dull – and that might be the reason you need a chemical peel. So, what is a chemical peel? Chemical peeling is one way of improving the appearance of your skin. It involves a controlled application of safe chemical solutions to the skin which then exfoliate damaged upper layer. The chemical causes the epidermis (outer layer of the skin) to peel off consequently revealing newer, more youthful skin. While going through a chemical peel is beneficial to the skin, the results you achieve from the procedure is influenced by the depth of the peel and the concentration of the chemicals applied. VI Peel, just like any other chemical peel recommended by aesthetic laser clinics in Singapore, is also used to treat skin conditions such as active acne and acne scars. With scientifically validated and result-oriented ingredients intended to achieve and maintain healthy skin, a VI Peel eliminates age spots on the face as well as the hands, neck, and chest. Individuals who have fair to medium skin tone who want to improve skin damage as well as reduce early signs of aging and want to restore a more youthful, healthy glowing skin are an ideal candidates for a chemical peel. As long as you want get rid of with fine lines on your face, acne, acne scars, sun spots, or uneven skin pigmentation, chemical peel can make a significant difference to these skin imperfections. However, individuals with dark complexion, must be very cautious and consult a certified dermatologist about having chemical peels. Even though you might have good results after the procedure – as suggested by skin care specialists, there is a possibility that the pigmentation of the newly healed skin may be different from the present skin color. 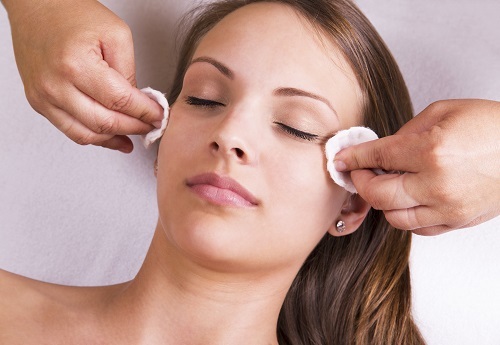 Chemical peels literally remove layers of skin so that newer, healthier skin cells can surface. 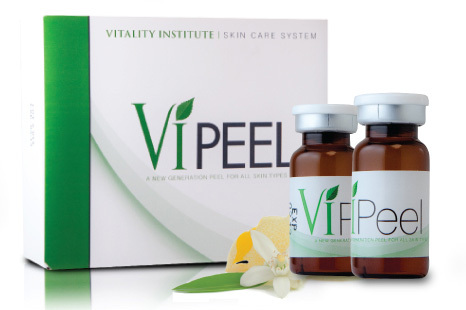 VI Peel can be carried out by a dermatologist in Singapore, and it involves applying a chemical solution to the skin. The solution (acidic in nature), works by exfoliating the top layer of the skin. During this time (exfoliation), the cells inside the skin are triggered thereby reproducing rapidly; hastening skin turnover and preventing pores from becoming clogged. Chemical peeling is not a one-occasion procedure. Depending on the extent of the damaged skin, one treatment might not give the desired results, though it can make them much less visible. It’s important to visit a medical aesthetic clinic before the procedure to determine the frequency at which you’ll need the treatment so as to achieve the results you want. What to expect after the chemical peel! A VI Peel treatment carried out by skin care specialist in Orchard is safe, painless and produces noticeable spectacular results in just days. A stinging sensation similar to a sunburn occurs following the procedure though it doesn’t last longer. After the treatment, your body will take about three days to slough off the damaged upper layer of the skin. At this stage, your new skin will be sensitive depending on the area treated, depth of the peel and the concentration of the chemicals applied, so, you’ll need to apply sunscreen with broad spectrum (protection from both UVA and UVB) and avoid being overexposed to the sun for several months. Additionally, it is essential to follow up with your dermatologist who will evaluate your situation and recommend adequate post-treatment care for your skin. Sooner or later, your skin will be noticeably smoother and fresher-looking. And though all the deep lines, wrinkles and scars might not fade away just yet, your skin will be improved and healthy-looking. Depending on the guidance you get from your dermatologist, you will need to repeat the procedure from time to time until you achieve your desired results. In conclusion, chemical peels offer dramatic results for any skin condition. Achieving a smooth, healthy, vibrant skin shouldn’t be daunting. While there are various chemical peels in the market, our skin care specialist in Singapore, have made available a result oriented VI Peel that will take your skin to the next level.